Good news! 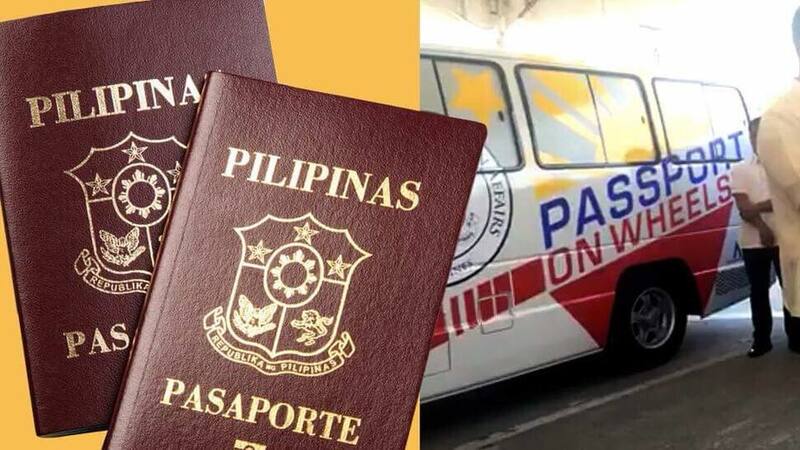 A mobile passport application service will be held in Davao City on March and 16 and 17 to help those who find it hard to get a slot at a Department of Foreign Affairs (DFA) office or book online appointments. 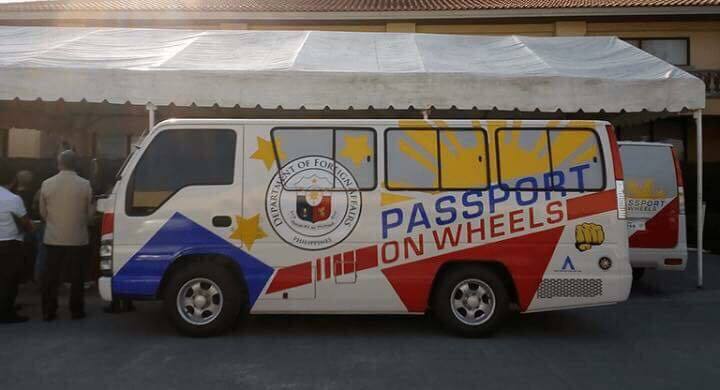 The Department of Foreign Affairs (DFA) has partnered with the Davao City government in conducting the “Passport on Wheels” (POW) program. This means the process could get a whole lot easier for you. For those who want to apply for a new passport or for renewal, submit the photo copy of your documents tomorrow, Wednesday, March 7, 2018 to the office of Ms. Mary Resma at Room. 14, 2nd Floor, Administrator’s Office of the City Hall Building. Applications are transmitted to the MPS coordinators to allow them time for pre-verification and pre-processing. Councilor Al Ryan Alejandre on his Facebook page advised everyone to submit the requirements tomorrow for verification and thus, no walk-in applicants are allowed during the two-day passport on wheels program. Only senior citizens, pregnant women, and children below seven years old will be accepted as walk-in applicants at the DFA office. 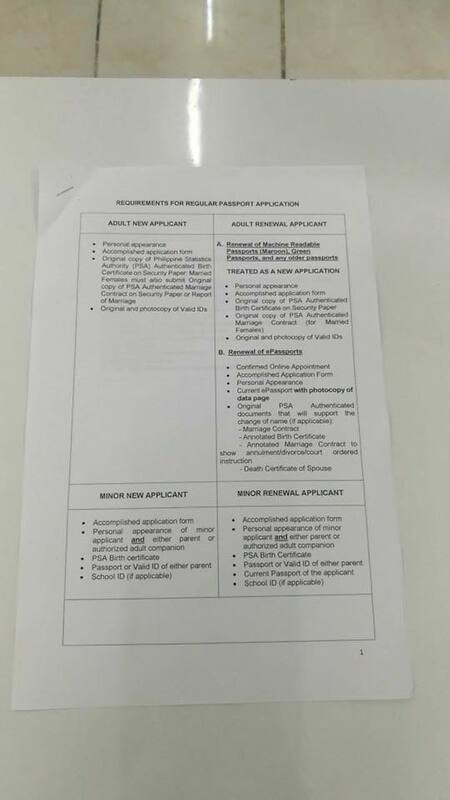 Requirements for a new passport applicant are the duly accomplished form, the original copy of the authenticated birth certificate issued by the Philippine Statistics Authority (PSA) and for females, a copy also of the marriage contract and an original photocopy of a valid identification document or ID. 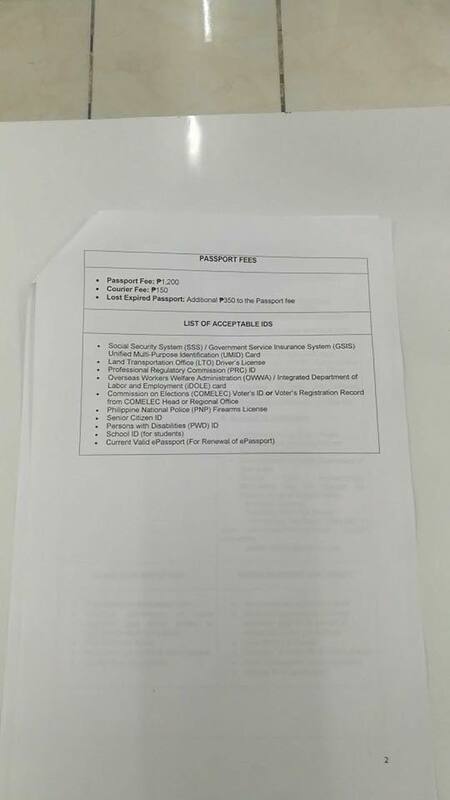 The passport fee is P1,200 and the courier fee is P150. For those who have lost or have expired passports, an additional fee of P350 shall also be required.